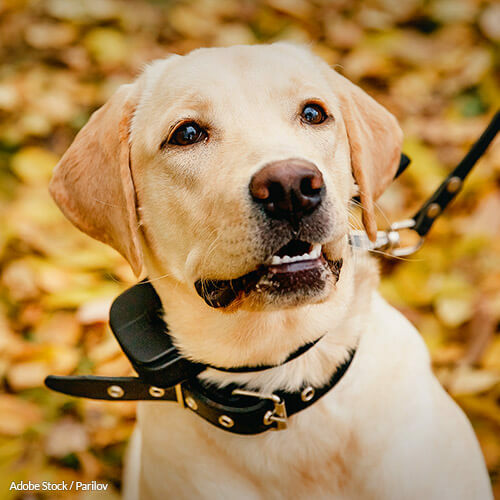 Sign this petition to tell the House Committee on Agriculture, the Senate Committee on Agriculture, Nutrition and Forestry, and USDA Animal Care to amend the Animal Welfare Act to ban shock collars nation-wide. Burn marks, behavioral issues, and unwarranted aggression aren't highly sought after traits in a dog, but they've all been linked to the inhumane use of shock collars in training. While once a popular option for pet owners, now at least 79 percent of the public agrees that positive reinforcement training methods are preferable over shock collars . The collars have been outlawed in several countries, and by organizations who have acknowledged their harmful effects. More than just physical pain, shock collars deliver a jolt of electricity strong enough to burn fur and skin, and seriously disorient a dog. After being shocked repeatedly, the dog may even begin to feel unsafe, and live in a constant state of fear . Using force to stem fearful reactions will make the animal even more fearful while training them to suppress their outward signs of fear. The next time the animal finds itself anxious or fearful, it may react aggressively, and without warning. Shock collar training can actually make animals more dangerous. . The number of organizations who accept that electronic shock collars are cruel and inhumane is growing. The American Veterinary Society of Animal Behavior (AVSAB), the Association of Professional Dog Trainers (APDT), the American Animal Hospital Association, the Humane Society of the United States, and the UK Kennel Club have all put out policy statements against the use of electronic collars. Meanwhile, the Association of Chief Police Officers (ACPO) has banned the use of such collars on their canine police teams. And, they've been banned in Denmark, Norway, Sweden, Austria, Switzerland, Slovenia, Germany, Wales, Quebec, and parts of Australia . It's time to stand up for the animals, and ban the use of electronic shock collars throughout the United States. Electronic shock collars are an outdated and inhumane method of animal training. The federal government needs to acknowledge that fact, and ban their use in the United States. At least 79 percent of the public agrees that positive reinforcement training methods are preferable over shock collars, which have been outlawed in several countries, and banned by the Association of Chief Police Officers for use in K9 training. More than just physical pain, shock collars deliver a jolt of electricity strong enough to burn fur and skin, and seriously disorient a dog. After being shocked repeatedly, the dog may even begin to feel unsafe, and live in a constant state of fear. Top veterinary doctors maintain that the use of forceful methods like electronic shocks will lead them to suppress or mask their outward signs of fear, suddenly acting with heightened aggression and with fewer warning signs when feeling threatened. Shock collar training can actually make animals more dangerous. It's clear that these devices have no place in animal training, and I demand you ban their use in the United States immediately. That's 27,428 signatures! Let's keep the ball rolling.